2018 Wild Woman Marathon, 50K and Relay Finishers! For the results of the 2016 Relay see below. 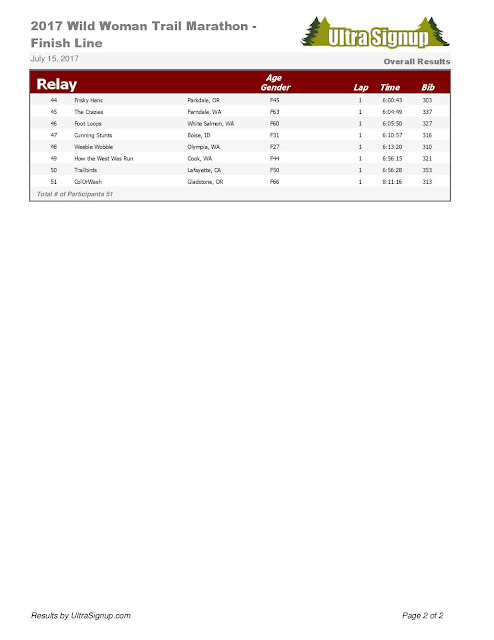 Here are the results of the Relay! 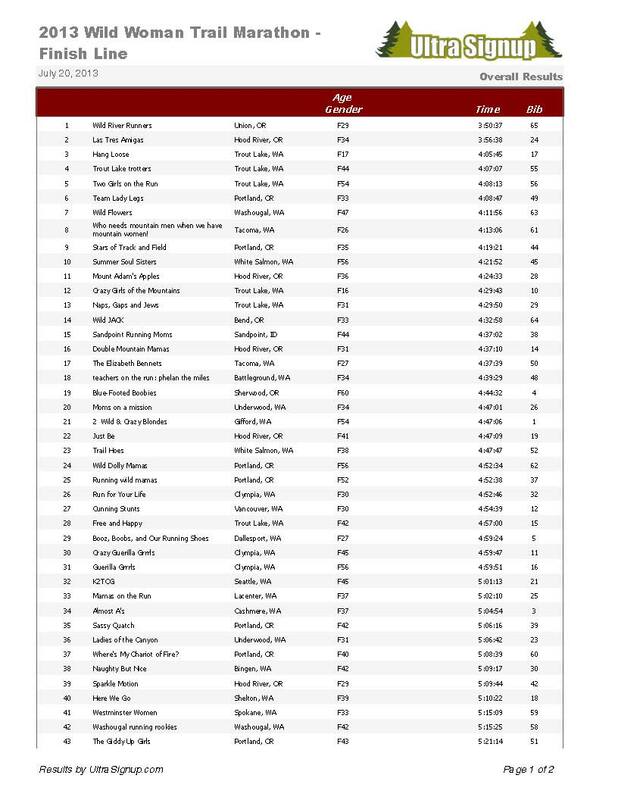 Where's My Chariot of Fire? Here are the results of the 2013 run and the relay. 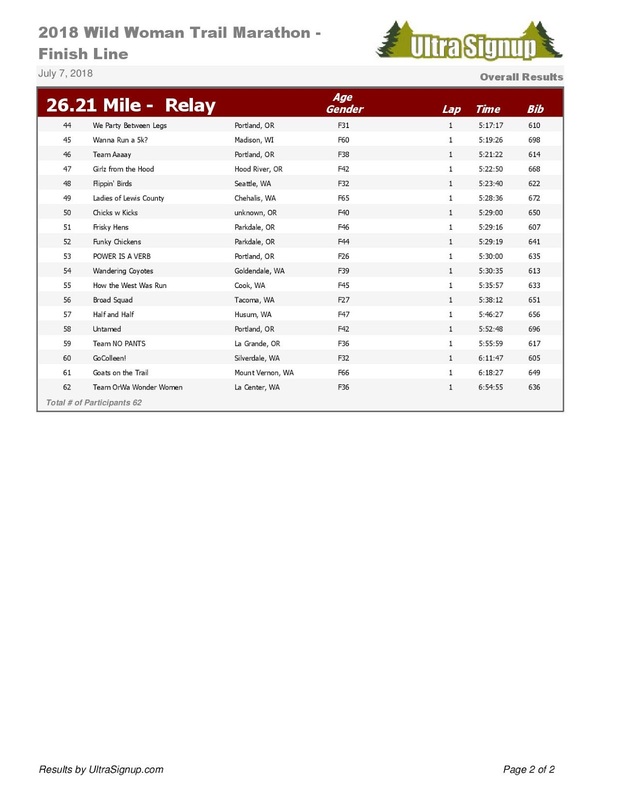 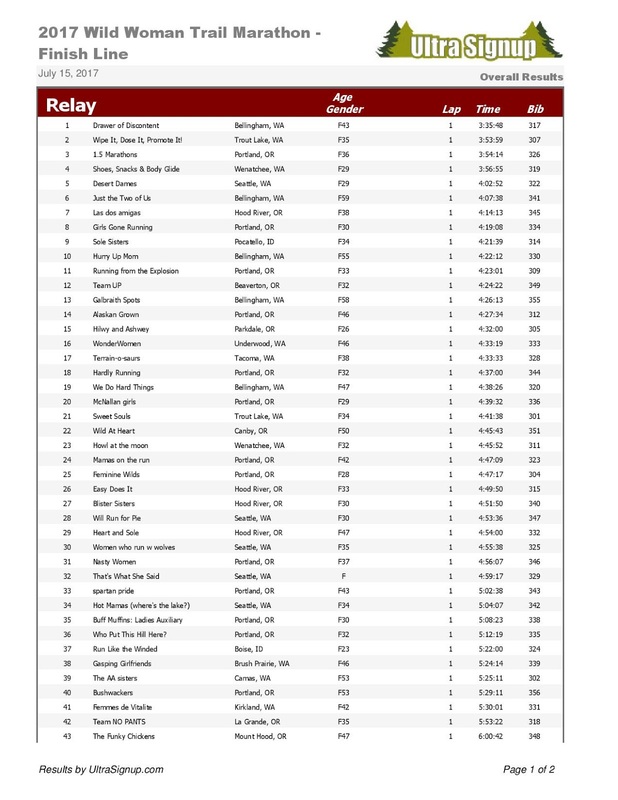 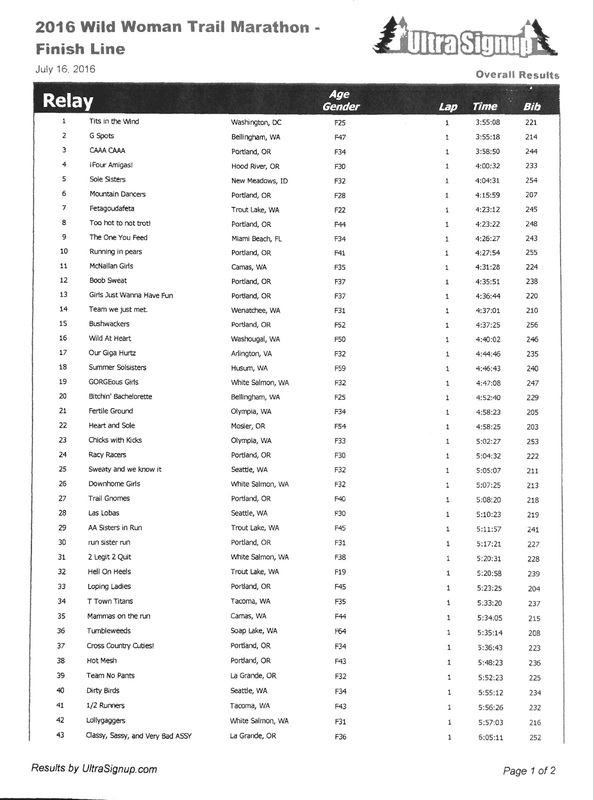 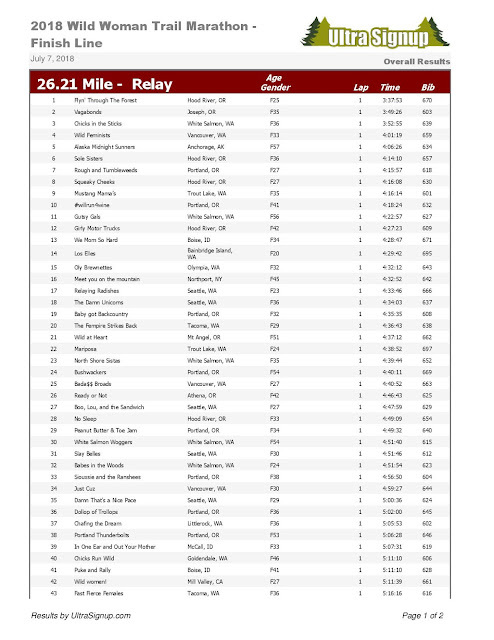 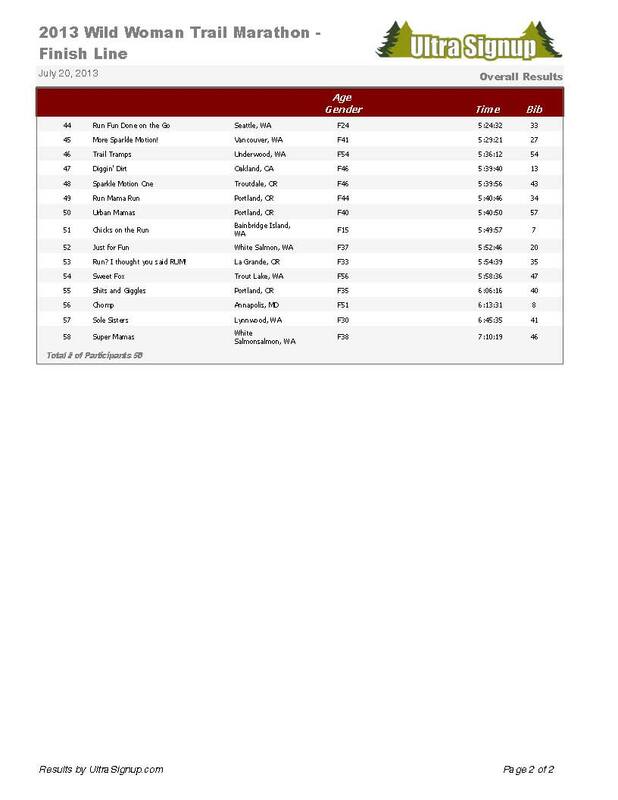 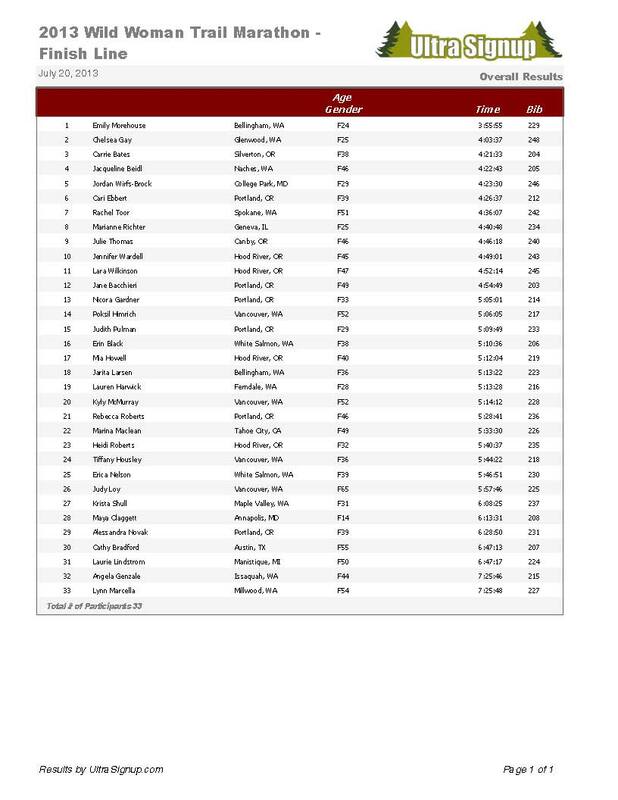 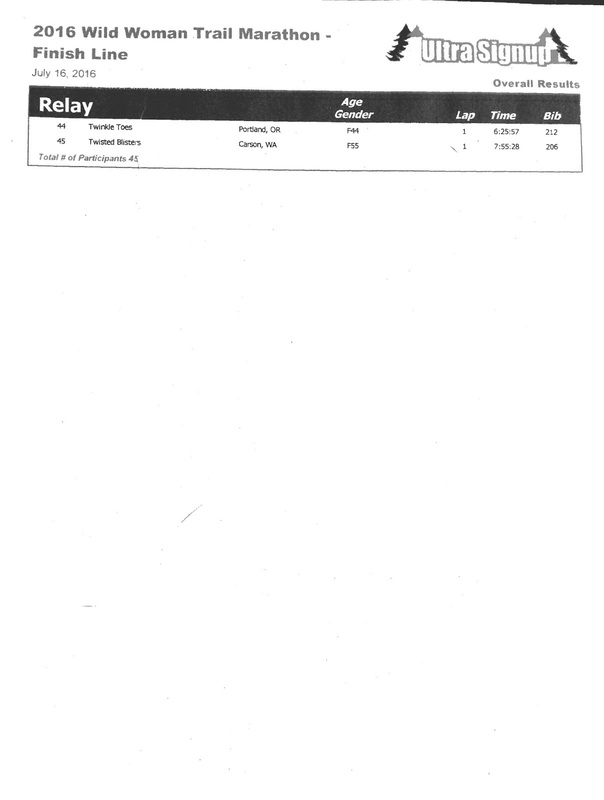 Here are the results of the 2012 run and the relay.